Jameson Olson grew up fishing south-central Wisconsin with his wonderful grandparents and his love for being near the water continued when he moved to northeastern Indiana at the age of 16, where he still resides. During trips to Missouri to visit his dad, Jameson learned how to target largemouth bass and this kind of fishing consumed his time throughout his adult life. 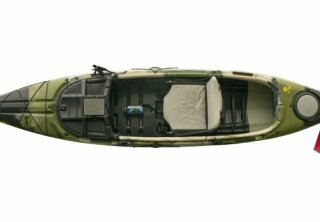 In 2012 he and his wife purchased kayaks and Jameson opted for a fishing style kayak. On their initial trip to a nearby lake, Jameson caught his first fish from a kayak and has been "hooked" on the sport ever since. 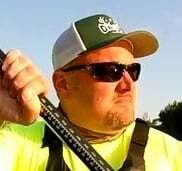 He feels fortunate in that his wife, Ginger, enjoys the sport as well and has become his favorite fishing partner. As well as being part of the YakAngler Regional Pro Staff, Jameson is also a member of the Jackson Kayak Regional Fishing Team, Orion Coolers Pro Staff, Moving Waters Outfitters Fishing Team and co-founder of the Indiana Kayak Anglers. Jameson is always happy to help newcomers to the sport of kayak fishing and welcomes anyone in the northeast Indiana area that wants to get together and do some fishing. "Much like Chris, these were my first pair of "high end" sunglasses. At first I was hesitant about spending this kind of money on sunglasses, but after buying fifteen dollar sunglasses at the local department store for the past 20 years, I figured the cost would offset itself eventually. 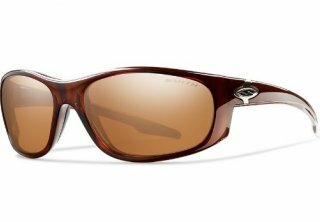 I really didn't expect the Smiths to be all THAT much better than any other pair of polarized sunglasses, but WOW was I wrong! 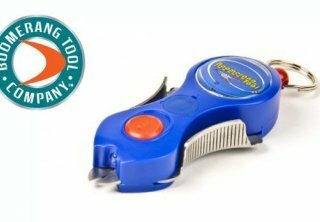 These things are super..."
"Having tried a few cheaper brands of line snips that were advertised as being capable of cutting braided line, I was left terribly disappointed in their performance. A friend of mine suggested the Boomerang Snips so I reluctantly picked one up and gave it a try. I was pleasantly surprised as these things work exactly as advertised. 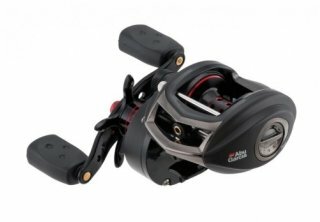 They easily cut all of my fishing lines, including heavy braid, and are easily stowed away in a tackle tray,..."
"Having not owned a baitcasting reel for the last 20 years and in need of a reel for muskie and pike, I decided to do some shopping for a new reel. My research and the salesman at the big chain sporting goods store led me to the Revo SX. It took me a couple of outings to get used to a baitcasting reel again, but it didn't take me too long since this thing is so smooth. ..."
Slayer Inc. "Sinister Swim Tail (SST)"
"This past summer I was shopping for a soft plastic that would last a big longer than the cheaper brand I was using for largemouth bass here in northeastern Indiana. Slayer Inc.'s company name kept coming up in discussions with other kayak anglers, so I thought I would order a few packs and give them a try. 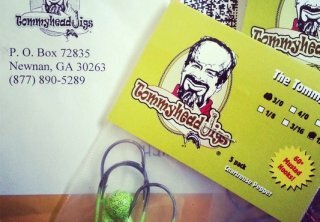 Yeah, they might be a little more expensive than some brands at your local department store, but the Slayer Inc SST's..."
"Having heard a lot of great feedback from friends concerning Tommyhead Jigs, and wanting to fish more with plastics, I ordered a couple bags of Tommy's standard jig heads. I love putting a Slayer Inc. SST on a Tommyhead Jig and fishing for bass (both smallmouth and largemouth), pike and walleye. I'm always casting this set up into thick brush and vegetation with no problems, but this last weekend I really put the Tommyhead Jigs to the test...."
"I can't add much that the other guys haven't already said about the features and such, but here is my experience with the Kilroy... Being in between kayaks as a trip to the upper peninsula of Michigan was fast approaching, I found myself borrowing a 2014 Jackson Kilroy from my local dealer. This particular boat was one of their demos and I was pretty hesitant to borrow it as I'm not a fan of sit insides. 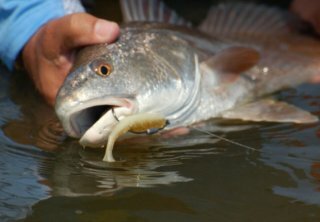 At..."
If you’re like me, you have fishing spots near home you know and love. However, you also like to venture away and experience new angling adventures in places you’ve never been. Also like me, you probably have to make these out-of-state adventures happen on a limited budget. Let’s look at a couple of ways you can make your dream trips happen without breaking the bank, and therefore saving more money for that new rod or reel. WHAM! Something had just hit the white spinnerbait I was tossing along a line of lily pads, and my drag wasn’t set high enough to keep the fish from pulling line out. Needing this fish to score my first entry in an online kayak fishing tournament, I tightened the drag a bit and got the net ready. When most guys think of their favorite fishing partner, they think of a good buddy or male family member. What if I told you that your next favorite fishing partner could be your girlfriend or the woman you married? After getting skunked by the walleyes last weekend, I was more than ready to fish in the big city with Mike (fellow YakAngler "Plastic Pirate") & Kyle again this weekend for another chance at 'em. We met up at 10 a.m., this time with another friend of ours, James. Mike had told me James was the "Walleye Whisperer" and he was right. James ended up with 6 or 7 fish while Mike & Kyle each caught 3 or 4 again. I had one reeled in right up beside my kayak, but it came unhooked right before I could net him. My frustration level hit a new high at that point as it seems I have a few fish species that simply haunt me, and walleyes were on that list this fall. This past Monday I found myself with the day off of work and with the temps forecasted to reach sixty degrees, I figured it would be a great chance for a solo trip on my favorite stretch of river. As I’ve written in previous posts, this particular stretch holds quite a few northern pike and smallmouth bass during the summer months, so I was pretty excited to try it during the fall. I thought for sure the larger pike would be cruising and not held up in the many downfalls and log jams that dotted the river. Boy was I wrong. I hooked my first fish, a little smallmouth bass, within the first half hour or so of fishing. My excitement level jumped up a notch as I thought for sure it was a sign of fish to come. However, not a single other fish hit until I was paddling my way back upriver to the launch. Another small fish, this time a hammer handle sized northern pike, struck the lure with ferocity but was still far from the fight I was hoping for. A couple of things to take away from this trip that are of note; first, the Jackson Kilroy is an absolute great river kayak, of which I had no doubt. This was my first trip with it on a river and it didn’t disappoint. I know I keep repeating it but, brand loyalty aside, this is one very versatile and underestimated kayak. If you get the chance, do yourself a favor and take one for a test paddle. I think you’ll be impressed with the Kilroy. Second, while the fishing wasn’t what I was hoping for, the solitude of floating a river this time of year is fantastic and very refreshing. The only company I had during my float was whitetail deer, wood ducks, turtles and a few squirrels who stopped foraging for acorns long enough to watch me slip past. I did manage to get some video footage, trying some new angles just to mix it up a bit, but of course the fishing action is a bit lacking. Nonetheless, I hope you enjoy the video I’ve put together and soon find yourself enjoying an autumn day on the river. Tight lines! I’m very blessed in that my wife shares my passion for kayak fishing. So it wasn’t surprising to me when, on a recent Sunday evening, she told me she was taking Monday off of work and wanted us to go fishing in the morning. I don’t know about you, but that’s a honey-do list I can handle! I had to work in the afternoon so we planned a quick morning trip to a lake that is one of our favorites here in northeastern Indiana. The lake holds some crappie, bluegill and decent numbers of largemouth bass. Most importantly though, the 50 acre lake is surrounded by wooded hillsides that make up a local DNR property and this time of year the autumn colors really add to the already beautiful scenery. We woke up early, loaded up the truck and were on the lake shortly after sunrise. My wife didn’t waste any time and was fishing not far from the boat launch, hoping to catch some bluegill for dinner. I had my mind set on trolling small crankbaits for crappie while paddling the Jackson Kayak Kilroy that I had borrowed from my local dealer. I am in between kayaks, so my dealer was nice enough to let me borrow one of their demos for the fall. This is giving me a chance to really test the Kilroy and I can’t say enough how impressed I am with this kayak. The first few hours of the morning were spent paddling the lake hoping to find some crappies, or even a hungry bass, but to no avail. My wife was having the same lack of luck that I was, so she opted to paddle south and try the opposite end of the lake. I worked my way down to her, trolling the entire way (the Kilroy really paddles nice), to see if she had found any fish. On the way to her, a trio of swans took to the air and passed over me, a beautiful sight in the early morning hours. My wife was still fishless, so I told her I was going to paddle back into “The Hole”. “The Hole” is a really small pond sized body of water that is joined to the 50 acre lake by a small channel. A few summers ago, when we were having a drought here in the Midwest, I watched a guy in a jon boat unable to make it through the channel due to the water being so shallow. His outboard motor was throwing mud and he had to eventually back out. I chuckled to myself as I later paddled through the channel in my kayak. I spent the rest of that summer having “The Hole” all to myself and catching 18 to 20 inch largemouth one after another. As you can imagine, “The Hole” is one of my favorite places to fish from a kayak and is always good for a bass or two or three or four…well, you get the picture. I fished for fifteen minutes or so, without any luck, when my wife came paddling back into “The Hole” as well. We were running out of time when I spotted a fish swirl the surface, grabbing something off the top of the water. I wasn’t sure if it was a bass or one of the lakes numerous gar, but I cast a paddle tailed soft plastic to the spot in hopes of finding out. A few twitches of my rod later, and WHAM! It wasn’t a big fish, later measuring 16 inches, but the largemouth sure put up a nice little fight. My wife snapped some photos quick, the fish was released for another day and we decided to call it a day. While the fishing wasn’t great, the company and scenery was nothing short of spectacular. It just doesn’t get much better than that on a Monday morning! Indiana Kayak Anglers (IKA) "Summer Shootout"
The newly-formed Indiana Kayak Anglers (IKA), a statewide organization representing kayak anglers in the Hoosier state, will be holding their inaugural kayak fishing tournament September 27, 2014 at Geist Reservoir near Indianapolis. With my younger brother Josh and I both having a day off during the week, we made plans to float my favorite section of a local river together. I had been on this float trip last year with my wife and a friend of mine, and I knew my brother would enjoy the trip. He was up for it and I was excited to spend the day with him on the water.